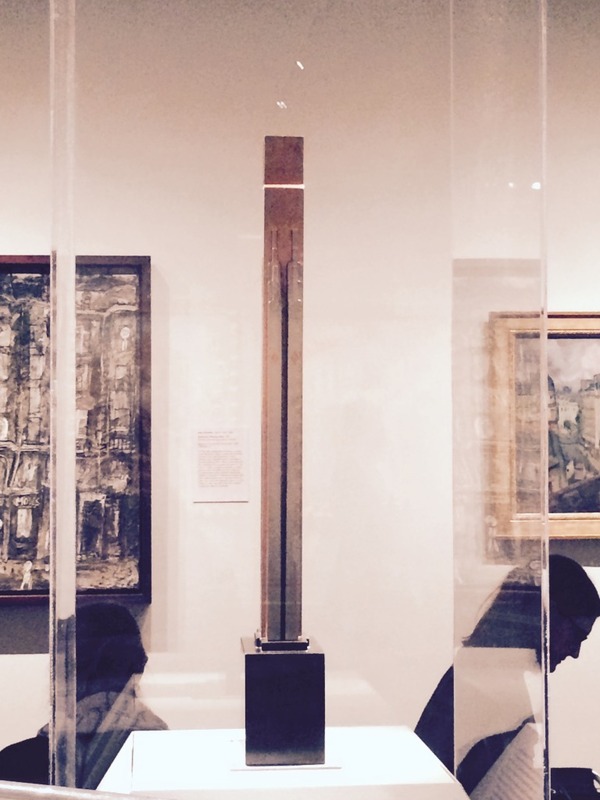 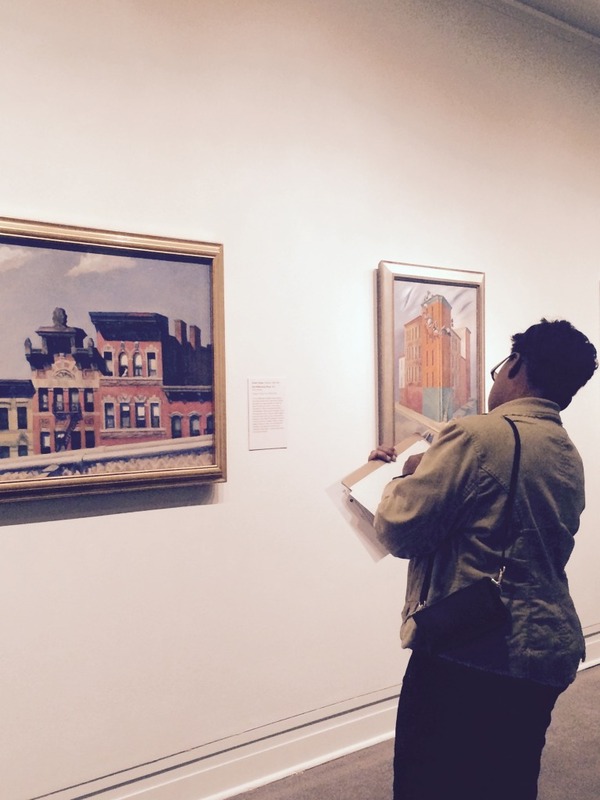 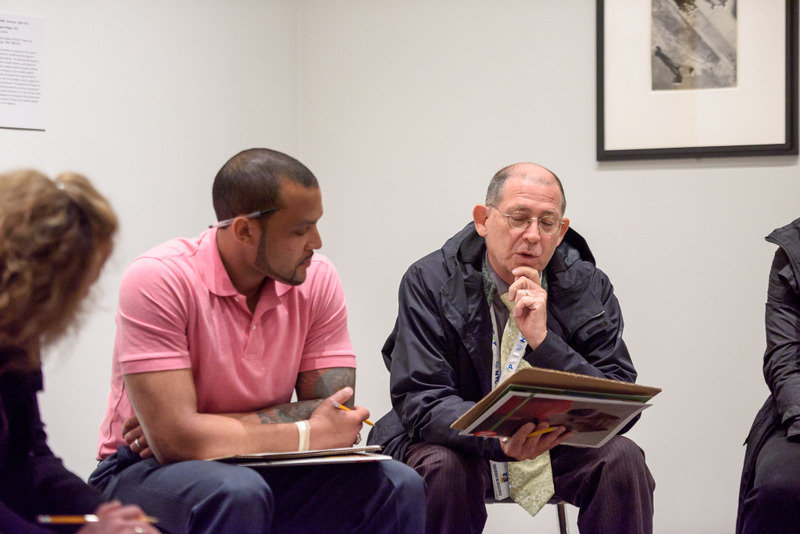 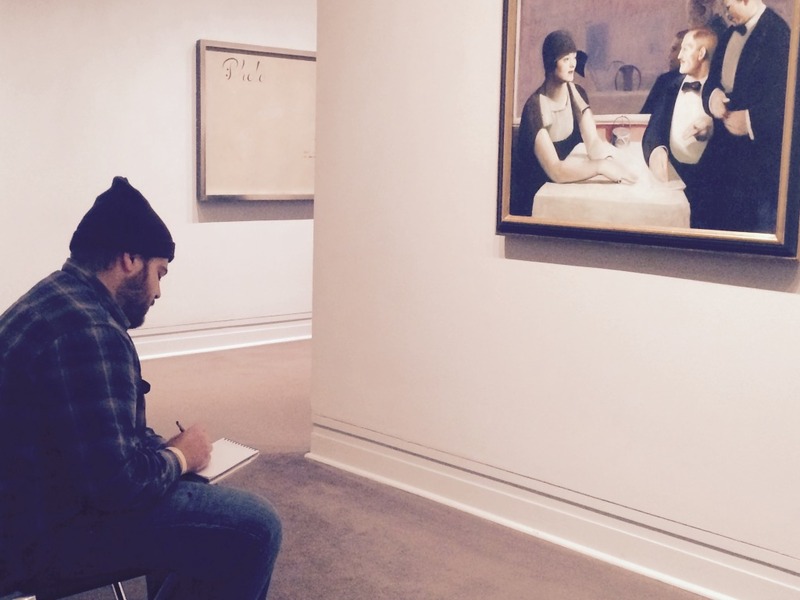 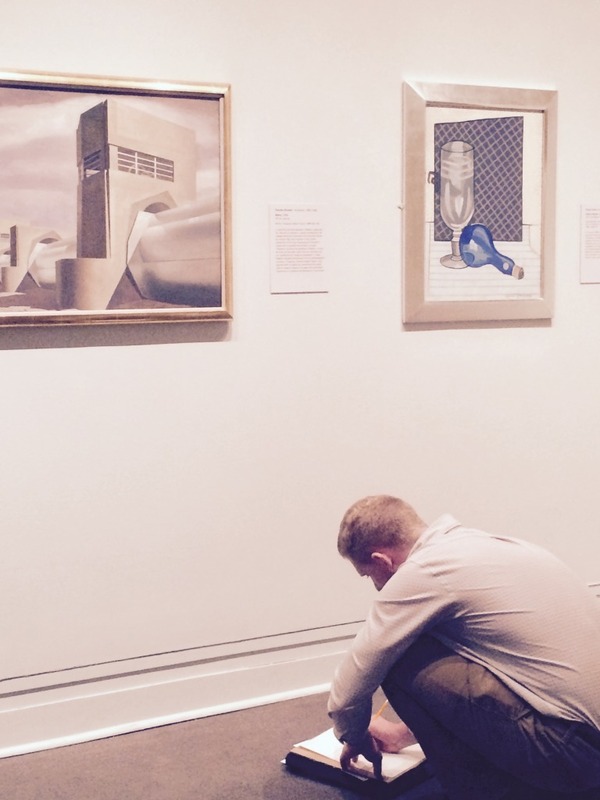 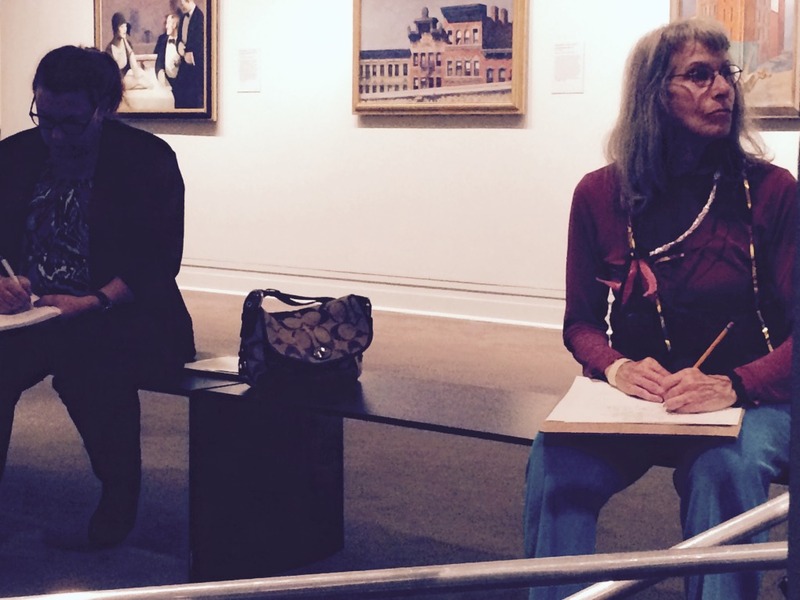 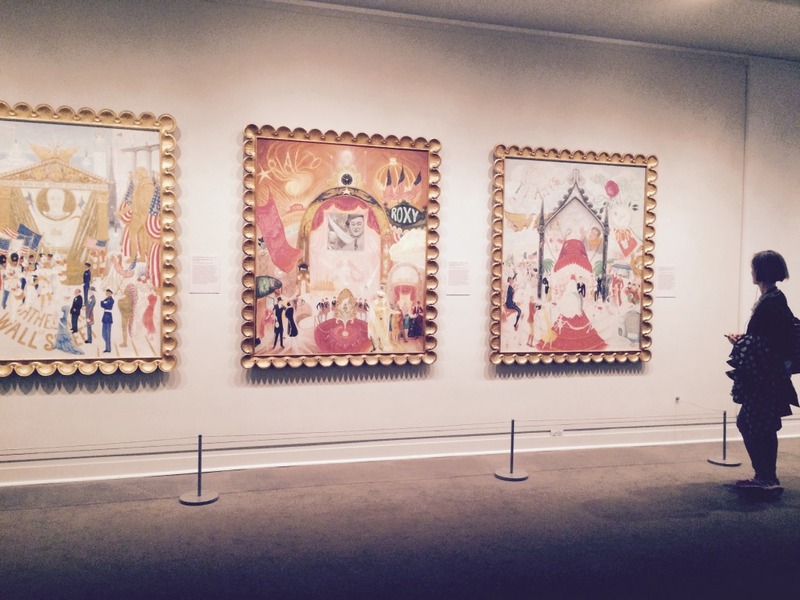 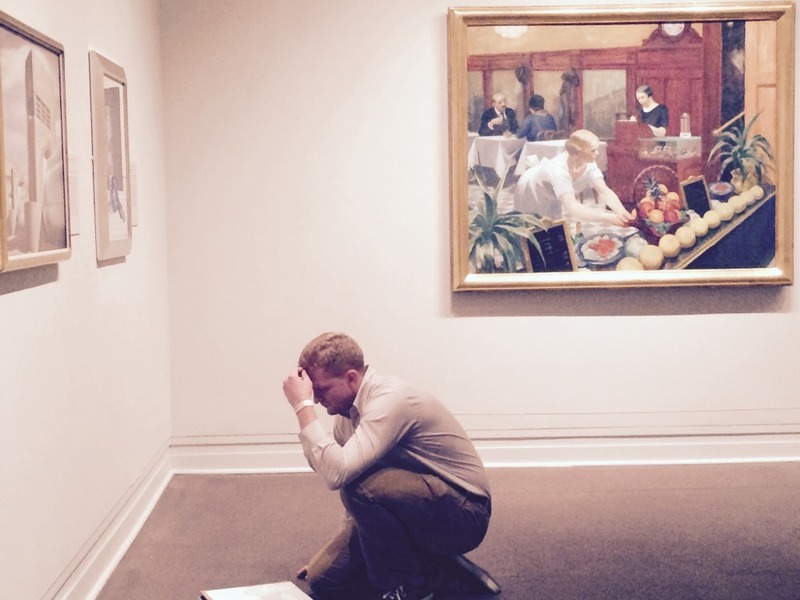 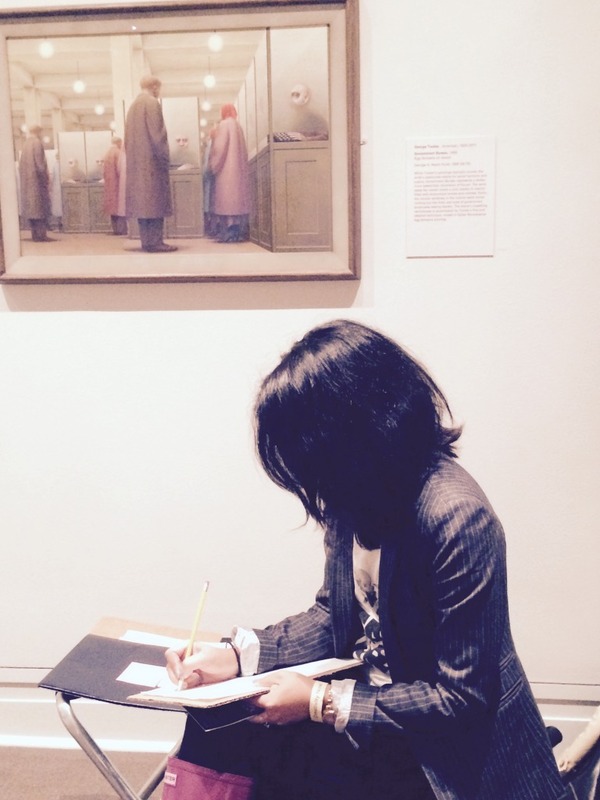 On October 2, 2015, the NYCWP again partnered with the Metropolitan Museum of Art to engage teachers of all grades and subjects in an art-based Writing Marathon. 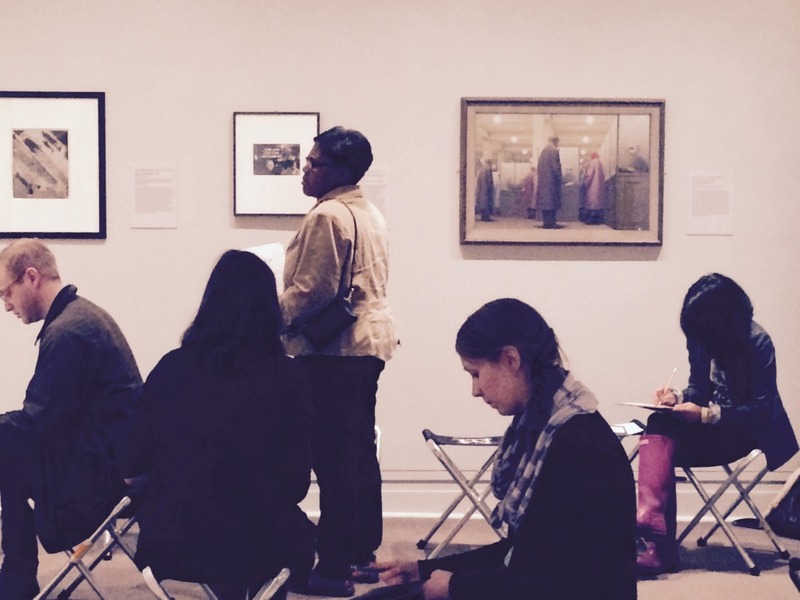 This mini-Marathon was part of the Met’s larger educator event, Creativity Now. 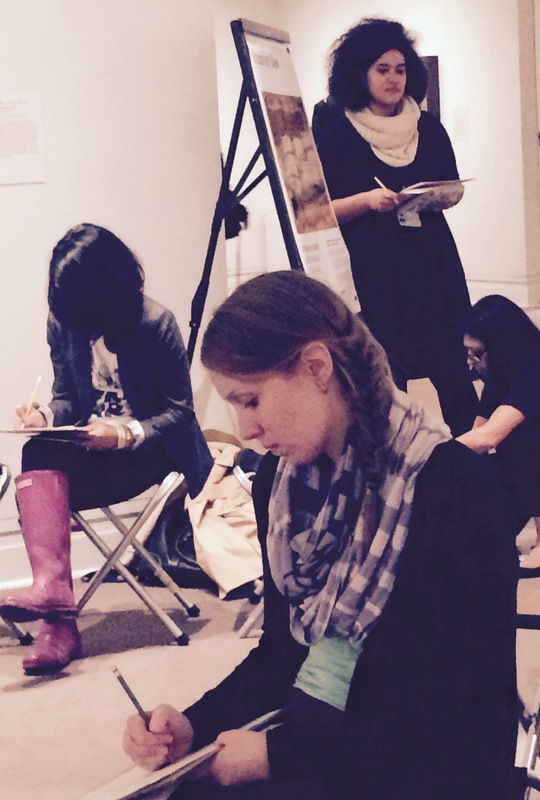 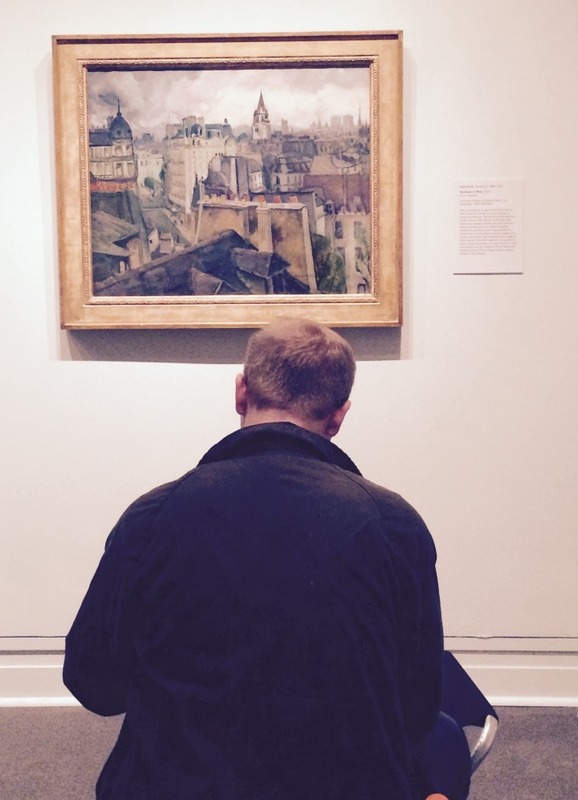 Teachers gathered in the Met’s historic galleries to look, think, write and share in response to a work of art. 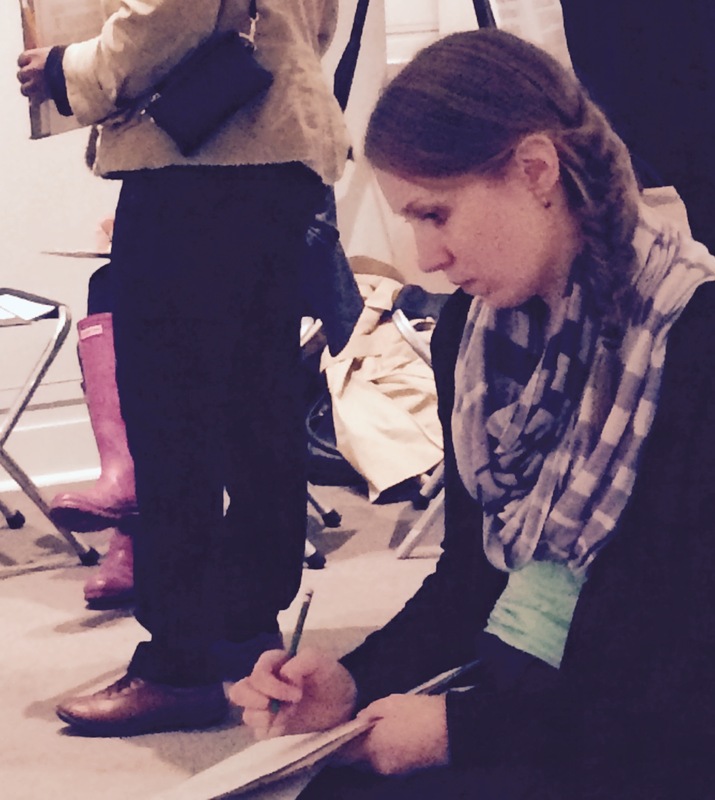 Other events that night included artist talks, a TASK party, and curator-led tours of the galleries. 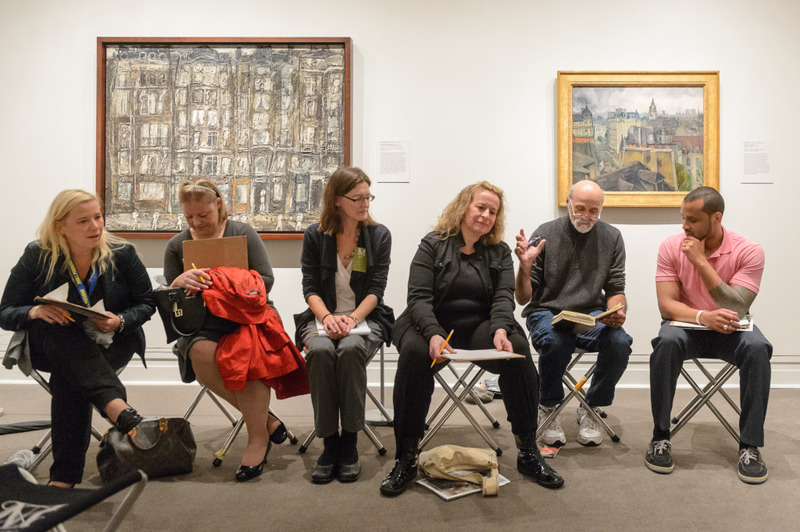 All activities were designed to support teachers in bringing more art into their classrooms, but were also created to be a plain old good time. 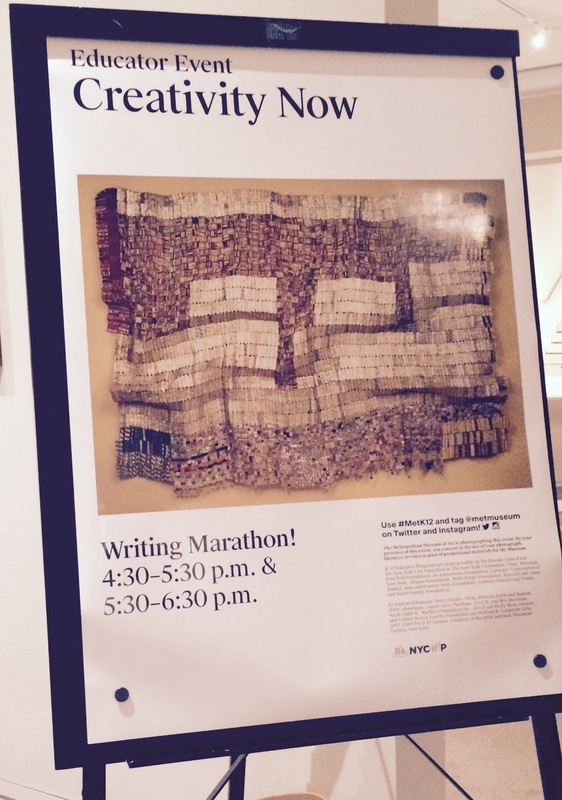 About 65 teachers participated in the two Writing Marathon sessions, which were facilitated by NYCWP TC Annie Thoms, NYCWP teacher leader Marta Stewart, and the Met’s Megan Kuensting. Megan walked participants through an activity designed to support close observation, but which also functioned as a game and a bit of a contest. 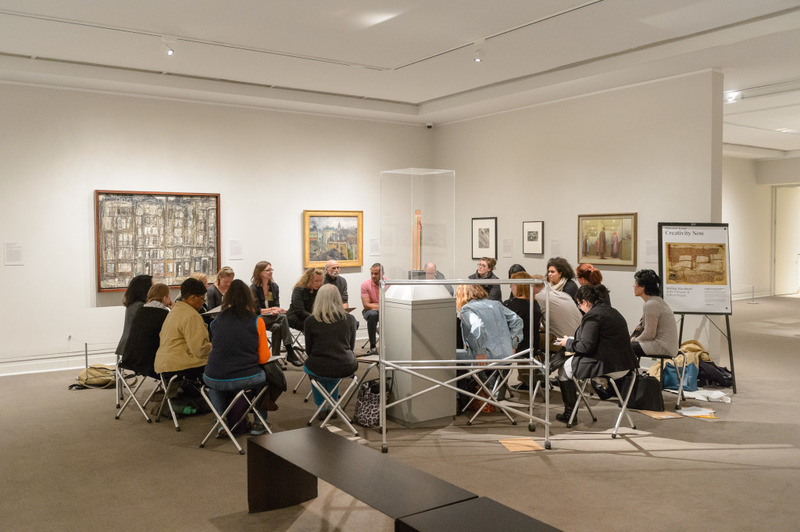 Then, Annie and Marta helped teachers start thinking about the ways art can inspire writing, provided prompts and, after some time to write, facilitated a group sharing. Thanks to everyone who facilitated or participated in this great event. 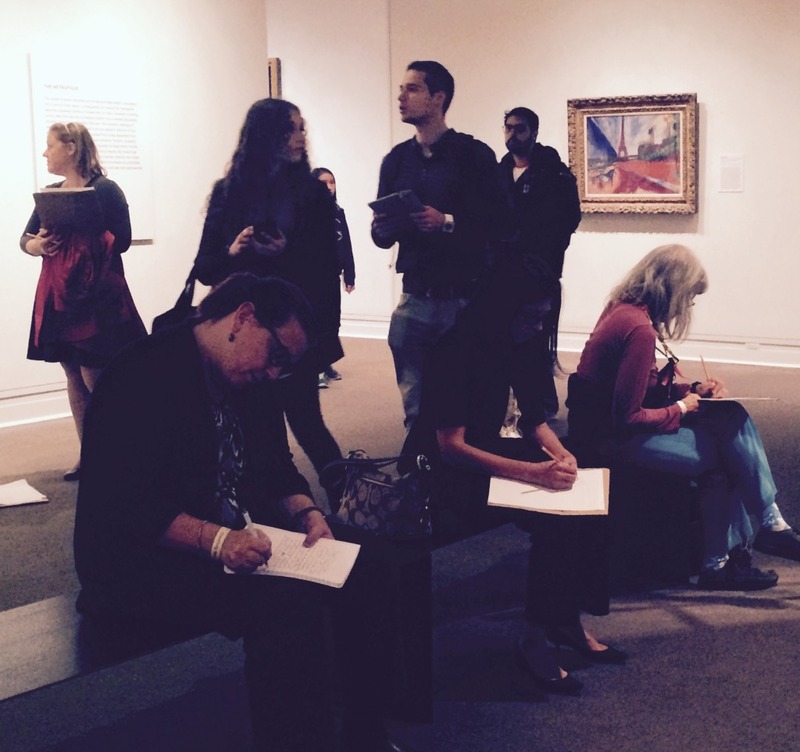 Pictures from the event can be found in the slider below.